Musician’s inspiration evolves to pleasant jumping notes; Litterateur’s inspiration derives to beautiful poems and articles; Painter’s inspiration flies to perfect composition, while OUKITEL designer’s inspiration creates the shinning and unique smartphone OUKITEL C3. 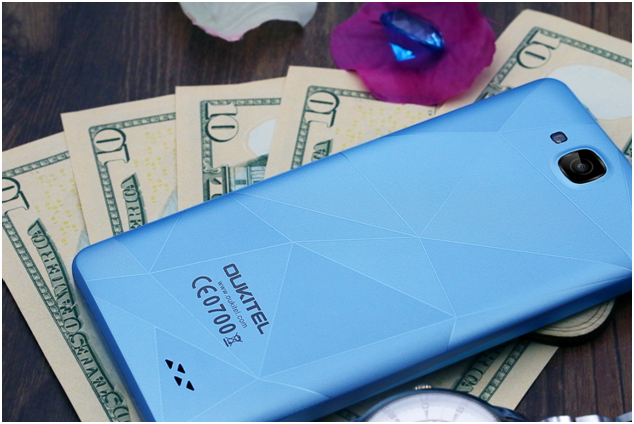 As OUKITEL leaked before, the latest model OUKITEL C3 is inspired by diamond and the colors of the rainbow, forming the 3D patterned back cover. This kind of design is not only beautiful to see but also not too dazzling. You can pick out your phone easily from others. Carrying the Android 6.0 OS, getting a 5inch HD display with AUO brand screen, C3 is offering a really cheap price. The normal retail price is only $49.99 for C3. This is quite a surprise for a phone that is MT6580 quad-core chip set, 1GB ROM + 8GB RAM with 32GB expandable memory, 8MP camera and 2000mAh battery. Father’s Day Special Deal on AliExpress: from May 17th to May 24th, OUKITEL C3 is also offering a seckill price $39.99 which is only 10 pcs perday; OUKITEL C3 device + Free silicon case priced at $49.99; OUKITEL C3 device + Free silicon case + Tempered glass priced at $54.99. Only 4-5 stores on AliExpress already got OUKITEL’s official authority to do the seckill activity. You can go to the store BlackPeach Here to check the details about the activity. In addition, Father’s Day super deal also including some high-end devices such as OUKITEL K6000 Pro, K10000 and the others handsets. OUKITEL K10000 gets 15% off, $152.99 only for 6 days from BlackPeach store, check it here; OUKITEL K6000 PRO gets 20% off, priced at $149.99 only for 6 days aswell, see it here. OUKITEL C3 – the most cost-effective Android 6.0 device at $50, Pre sale Starts from $39.99!